The Sherwood Dining Table is sleek and modern and adds just the right touch to any setting. This contemporary dining table is perfect for causal meals, enabling you to dine in style. Suitable for both indoors and out, you just can't go wrong with the Sherwood Dining Table. The Sherwood Dining Table features a base made of aluminum. It is perfectly complemented by a rectangular table top that has a teak inset, adding durability to a chic modern table. Its combination of natural teak and aluminum makes this table visually interesting and perfect for the modern home. 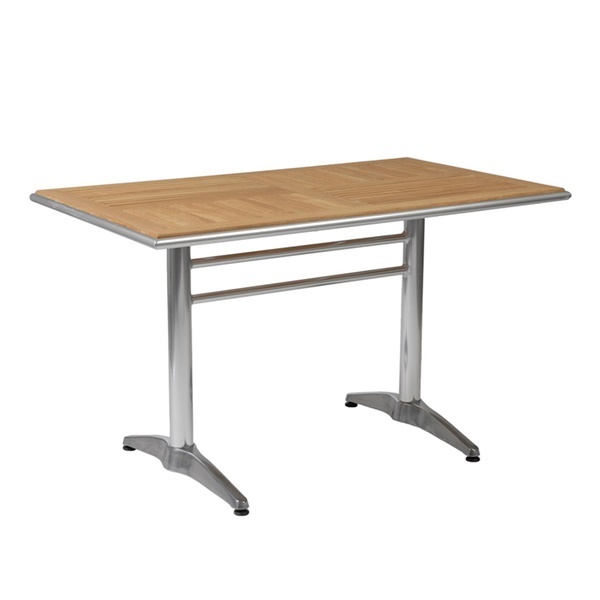 The Sherwood Dining Table also features adjustable feet.